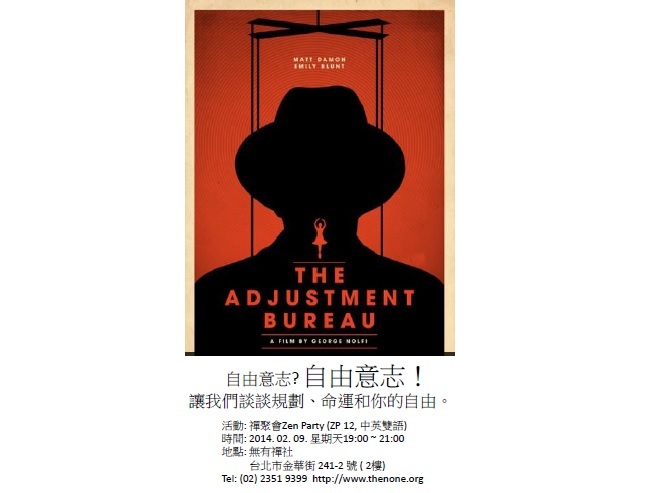 The Movie The Adjustment Bureau leads us to the question: should we be adjusted by the plan that conducted on our past experiences for a well-prepared, lower risk, and predictable future, or not to be? 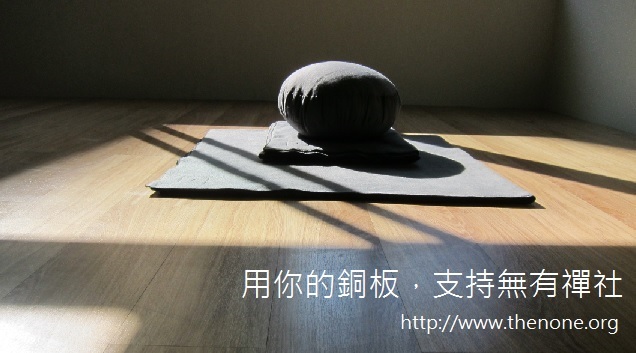 It also links to the question that we deal in Zen practice: are we attached to our perception, or can we break through and liberate from our conception? 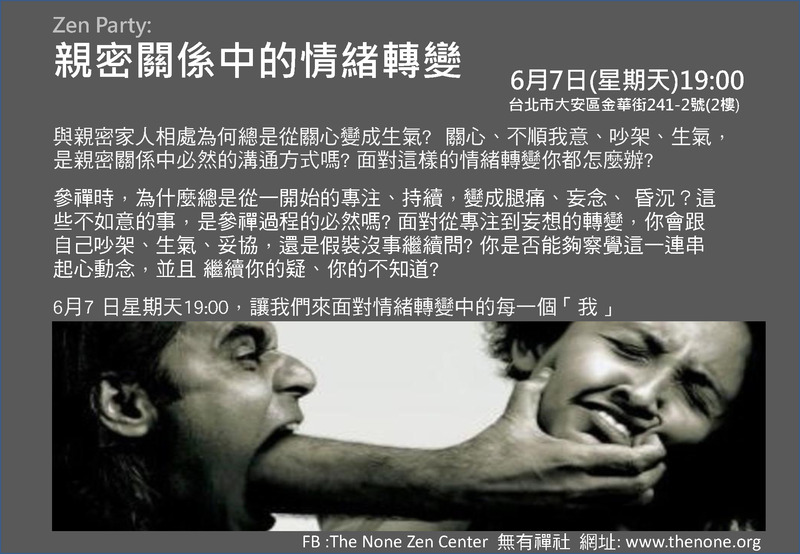 This is the question we’d like to talk about in the coming Zen Party. 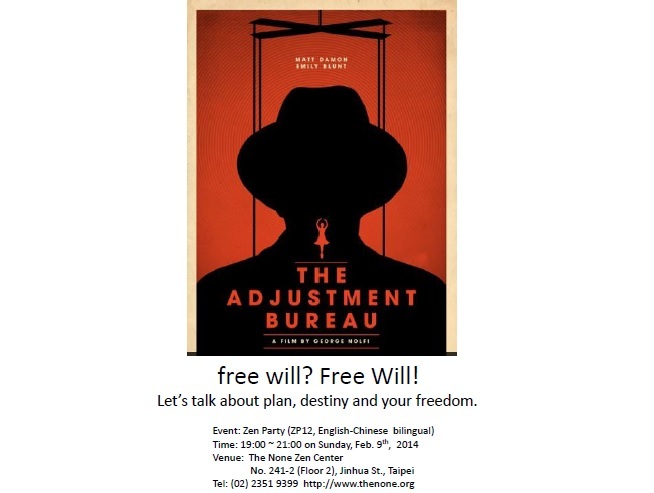 Come along to join us for the movie trailer, discussion, and vegetarian food! Time: 19:00 Sunday, Feb. 9th. 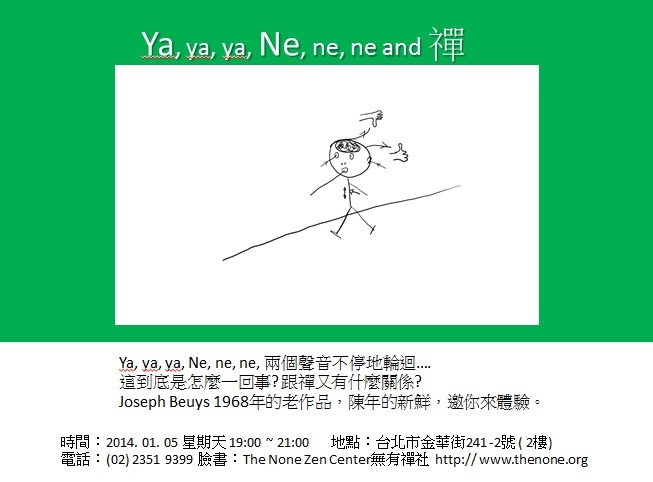 This time, we are going to play Joseph Beuys’ sound work Ja, ja, ja, Ne, ne, ne. Join us listening to this 1968’s work and find out a new understanding of Zen. 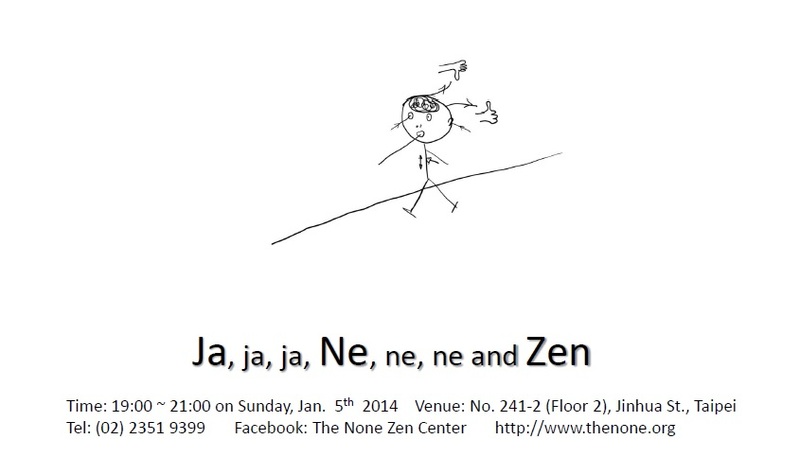 Check for Zen Party. 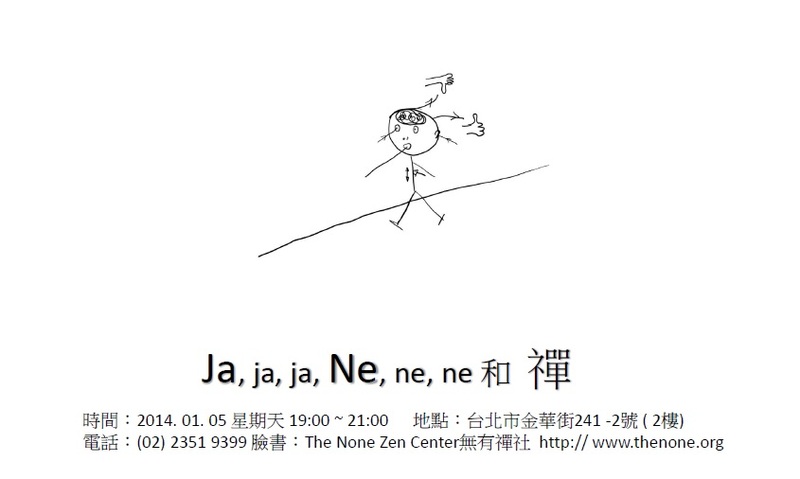 這一次的Zen Party 禪聚會，我們要播放Joseph Beuys 的 Ja, ja, ja, Ne, ne, ne，聽聽看，這~和禪有什麼關係?